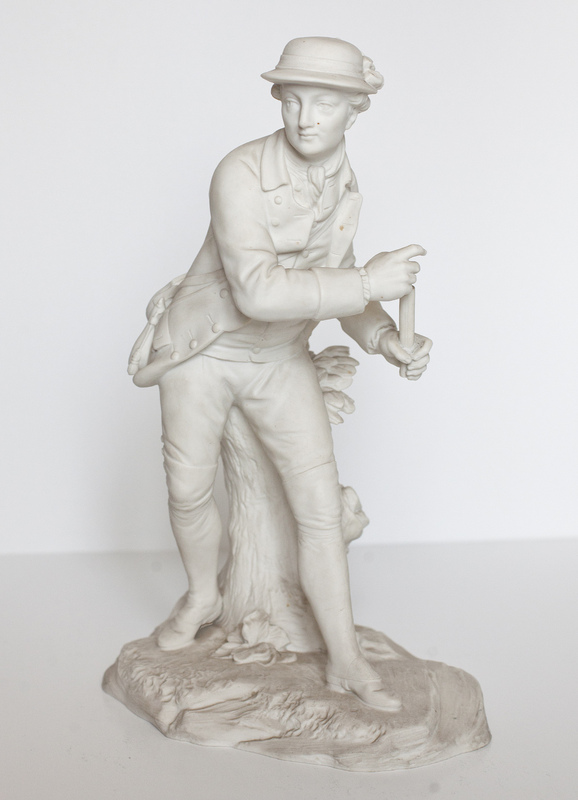 Figurines or figural groups, depicting hunting scenes, began to be produced at the time of Louis XV. Their original purpose was the decoration of the central part of “hunting tables”. Preserved, rare examples of similar animal presentations were initially produced in Vincennes. Later, at the beginning of 1770s these models had been refined and adapted to the production of porcelain figurines in Sevres biscuit. There is an order from 1776 for three festive decorations for the table of King Louis XV: scenes from deer, wolves and wild boars hunting. 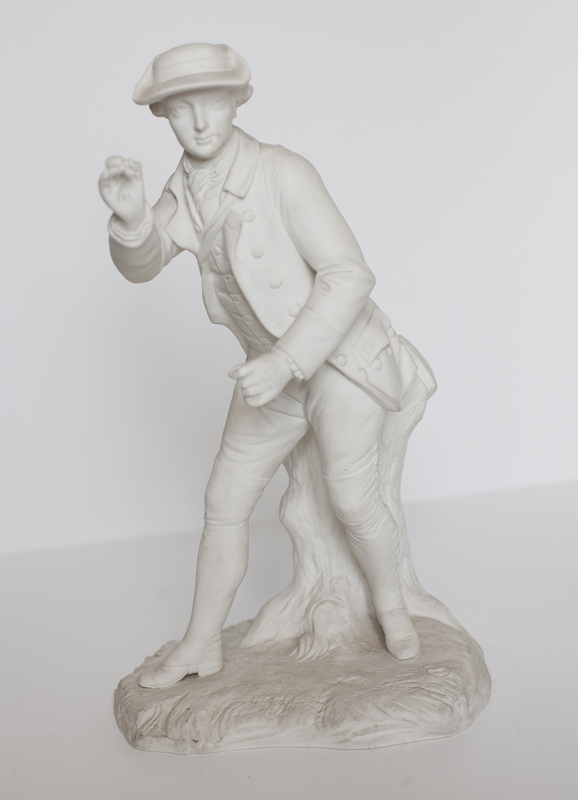 During the 1870s the Manufacture Nationale de Sèvres had produced several sets of biscuit figurines depicting hunting scenes, primarily with the aim of being exhibited in the French embassies in the world, or for the purpose of diplomatic gifts. The Royal Compound Art Collection has four figurative compositions with hunting scenes: wild boar an wolves hunting, hounds master and hounds master blowing a horn. 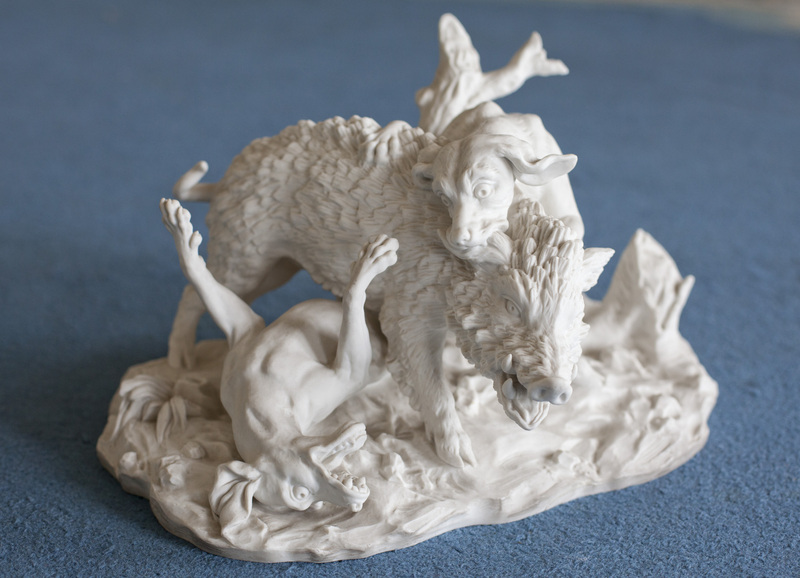 The first figurine represents a wild boar attacked by two hounds. The second composition represents a fight between a wolf and two hounds. 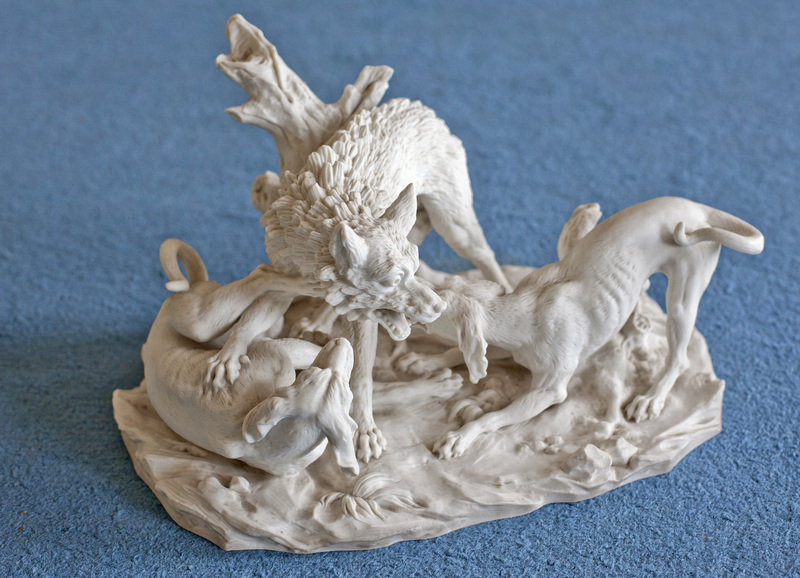 The other two porcelain figurines represent hounds masters in hunting scenes. Although these scenes come from the last third of the 19th century, as already mentioned, the original models were created in 1776 and modeled by Pierre Blondeau, on the model of hunting scenes by the French painter and graphic artist Jean-Baptiste Oudry.